Quilt Kit for approx 44" x 54" quilt top with pattern, binding, panel and borders. 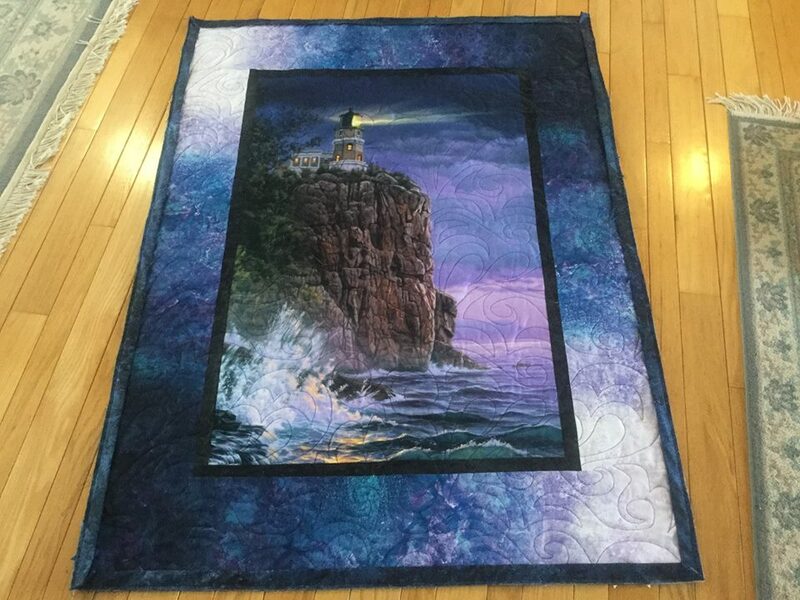 Panel is Hingeley Road Quilting's exclusive Northcott Digital Print of Split Rock Light House, North Shore Lake Superior (Minnesota). For those that already bought the panel.....we will offer a "shell kit" that has just the borders/binding and pattern in the very near future.